Minecraft is a sandbox construction game created by Markus Persson, also known online as 'Notch', and Mojang AB. 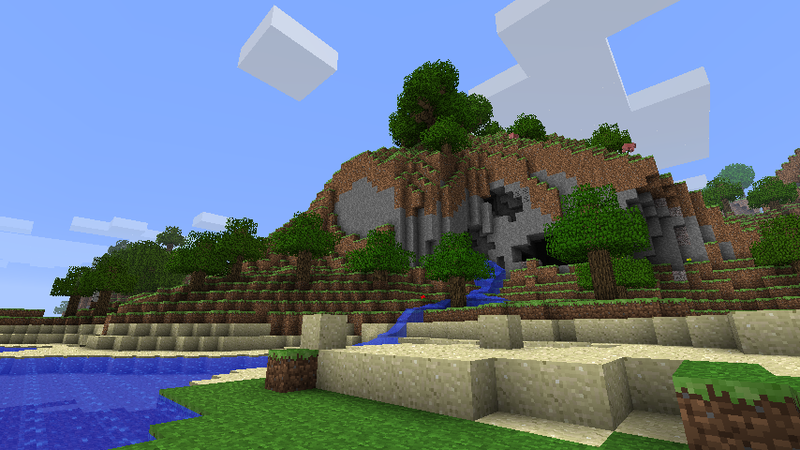 Players explore a randomly-generated infinite world made up of cube-shaped blocks forming a landscape filled with lakes, mountains, forests, caves and deserts. To survive the resources of the world must be exploited to cook food, craft weapons and armour, build shelters and kill monsters. Mojang actually started life before Minecraft when Markus Persson and a friend called Rolf Jansson developed a massively-multiplayer online role-playing game called Wurm Online. Mojang Specifications AB was set up when they decided to charge for premium accounts. After Persson left Wurm Online, he retained the name Mojang and Jansson changed the name of the company behind Wurm to Code Club AB. After the unprecedented success of Minecraft, Persson set up Mojang AB to assist in sales and development of Minecraft, as well as other projects. He now employs several other people to assist in the business aspects as well as support and development of Minecraft itself. Mojang are developing a second game - a strategy collectible card game named Scrolls. They are also publishing Cobalt, a side-scrolling action game developed by Oxeye Game Studio. This website was launched on the 18th September 2010 as a quick and handy resource to find Minecraft ids. Since then it has been continually refined and developed, with new features such as interactive search, a list of mob and entity ids, an API, a potion metadata calculator, this about page and a set of frequently asked questions. As of February 2018, there have been over 18,700,000 unique visitors with over 56,800,000 pageviews. If you have any suggestions or comments, then please feel free to contact me. I try to answer all emails within a few days of receiving them. Copyright © 2010-2018 Graham Edgecombe. All Rights Reserved.